You can’t take a chance when it comes to your freedom. When your future depends on it – you need the best. Have you been arrested for a crime, felony, misdemeanor, traffic violation, or DUI/DWI in Prince George’s County? Have you been injured because of another person’s negligence or were you the victim of an auto accident in Maryland? We can help you with your legal issues. The Law Office of Malik A. Shakur is committed to top-notch reliable legal services that bring a positive difference in our clients’ lives. Our attorney, Malik A. Shakur, devotes his practice to legal issues that can lead to devastating effects on individuals and their loved ones, including criminal law, traffic violations, DUI, and personal injury matters. We understand that the situation you are going through can be financially draining and emotional challenging. Mr. Malik works closely with clients and strives to take stress and anxiety out of the equation by providing sound legal advice and skilled representation at every stage. We believe that establishing a client-attorney relationship is key to understanding clients’ goals – this enables us to provide the necessary information you need to make well-grounded decisions about your future. Malik A. Shakur has been practicing law for more than 20 years and has successfully handled hundreds of clients facing criminal charges and recovered compensation worth millions of dollars in personal injury settlements. With a strong passion for justice and commitment to defending clients’ rights and interests, he offers robust advocacy, practical advice, realistic assessments, and personalized attention geared toward effective resolution of your case. Protect Your Driving Record, Your Insurance Rates and Your Driving Privilege. Consult with us before you pay a traffic ticket, even it is not a “Must Appear” ticket. There are often many hidden penalties in addition to paying the fine. And some of them can be severe. Call now, we can help! Conviction of a crime may bring a sentence including fines, probation, imprisonment or other judicial discipline. It is important to seek competent legal advice from a criminal defense lawyer as early in this process as possible. If you or a loved one was injured due to the wrongdoing of others, you could have a case -- but it's impossible to say for sure until we know the details. We have been representing the victims of automobile accidents, truck accidents, motorcycle accidents, slip & falls, dog bites, dangerous products and other acts of negligence. Maryland auto accidents often result in serious injuries that can affect your life forever in a second.That's why it's critical when a car accident happens to contact a lawyer who can protect your rights. Time counts when it comes to investigating injury accidents. And the sooner we can get started, the stronger your case. Contact us, let's talk about it and let us help you get through these tough times. Whether you are up against a big insurance company with a team of attorneys or the government, Mr. Malik is in it to win it. Our dedicated attorney is respected throughout the legal system for his intelligent arguments and unparalleled advocacy, and is reputed among clients for getting results. Have you been injured? Our Maryland personal injury attorney builds a strong case backed with solid evidence for your personal injury claim and strives to get the maximum possible compensation. Are you facing criminal charges? Whether you have been convicted for a misdemeanor, felony, or any other criminal charge, you can rely on our criminal defense attorney in PG County to defend you in court and fight aggressively to secure your freedom. Have you been arrested for a traffic violation or DUI/DWI? Our Maryland traffic attorney will present your case in the best possible light and walk the extra mile to get your charges reduced or dismissed altogether. Whether you are facing criminal charges or want to file a personal injury claim to recover damages, Malik A. Shakur can help you with your case. Using years of experience and in-depth knowledge of Maryland laws, we can devise a thorough legal strategy that is tailored to befit your specific situation and meet your objectives. For more information about our services or to discuss your case with our Maryland attorney, contact the Law Office of Malik A. Shakur today at (301) 772 – 5773 to schedule an initial consultation. 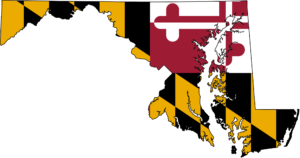 Our law firm is situated in Prince George’s County, MD, but we take out-of-state cases to negotiate a settlement. However, if a lawsuit needs to be filed, we team up with a qualified and experienced attorney from that particular jurisdiction to carry out court proceedings. Message us for a free consultation.